The most kawaii & cutest star for generations, Sanrio Stars bring its lovely aura to your daily organization! 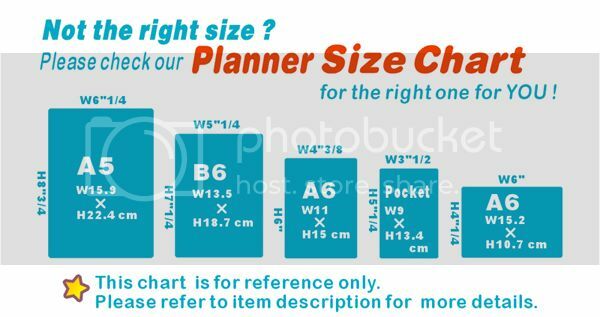 The agenda schedule planner refills for the Louis Vuitton 6 Ring Agenda PM, Filofax pocket organiser..etc, the 12-month and 16-month planners are decorated with cute sanrio stars images on all pages. Themed yearly & weekly plan. Let Sanrio star be your company in every day of 2019. Including monthly schedules, memo pages, address directory, this handy cute planner will help you stay organized in 2019. - Dimensions (in): L4.9" × W3.5" x H0.4"